One of Tamil Nadu’s last remaining forts, the 16th-century Gingee Fort was dubbed “Troy of the East” by the British. Today, the stunning ruins serve as Tamil film backdrops, but few foreigners make it to Gingee, which was once closed to the public. 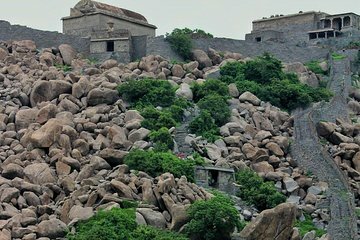 Constructed during the Vijayanagara Empire and set high on a rocky hillside, the fort contains three impressive citadels and a massive fortified wall. Learn about its incredible history on this exclusive guided tour.